GfK study on key retail indicators: 2017 review and 2018 forecast. 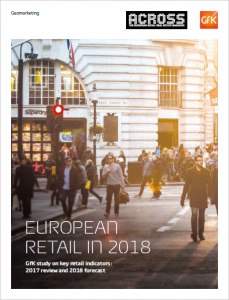 The study offers an overview of the most important indicators for European retail in 2018. This includes an analysis of purchasing power and store-based turnover as well as their respective shares of private consumption. The study additionally illuminates trends in consumer prices and sales area provision. 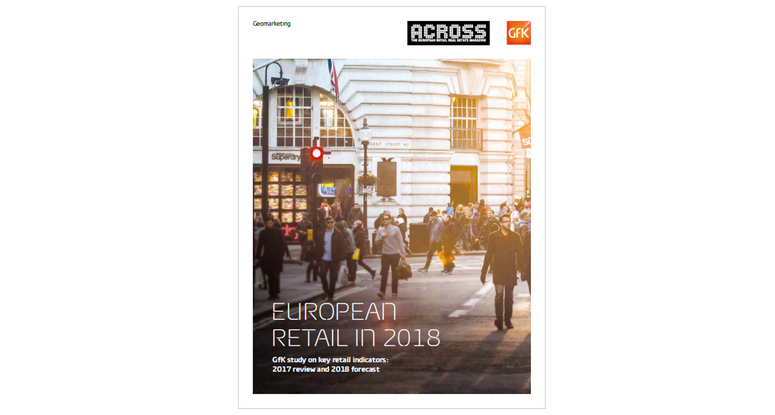 We would like to give you the opportunity to download the GfK study “European Retail in 2018” for free. We encourage you to use this study as support for your strategic retail decisions, whether you‘re an investor, retailer or project developer.